WRENTHAM, Mass. 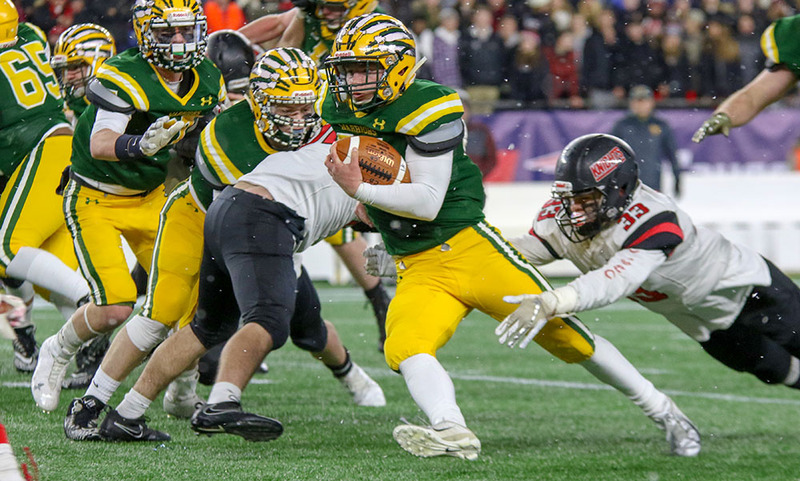 – King Philip senior Bruce Saintilus didn’t see much time in the first half after picking up a pair of quick fouls and was held scoreless through three quarters of play. 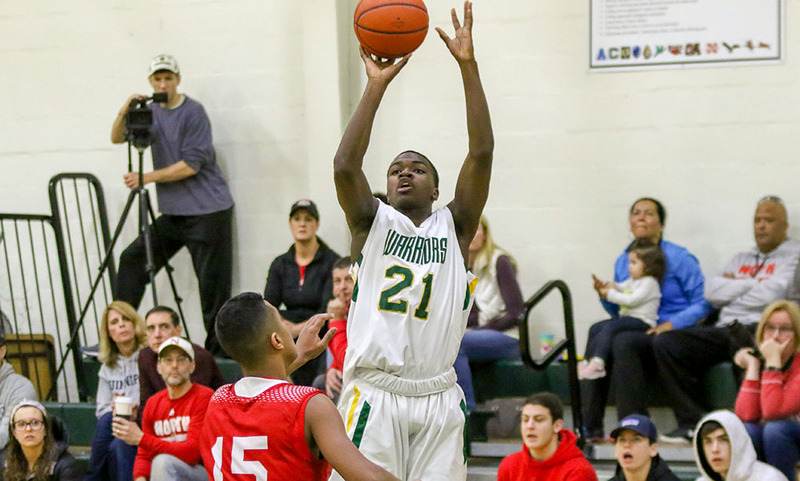 Warriors head coach Dave DeStefano knew if his side was going to pull off the win, he needed to get Saintilus going, so he made him a focal part of the offense down the stretch. Sanitilus delivered, scoring all nine of his points between the fourth quarter and overtime period to help the Warriors edge North Attleboro, 55-52. After scoring five points in the fourth quarter, the senior forward scored KP’s first bucket in overtime to tie the game, and then used a strong take to give the Warriors a 50-48 lead with 2:36 to play, a lead that the hosts wouldn’t relinquish. North Attleboro had two looks to tie the game but didn’t convert and Saintilus aggressively attacked the basket to draw the defense and the senior dumped it off to classmate Sam Sesay for an easy layup to go up 52-48. Rocketeer sophomore George Ladd (12 points, 10 rebounds) converted on an offensive rebound and North Attleboro caught a break when KP missed on a fast break attempt after breaking the Big Red press. But North once again went 0-for-2, and KP gained possession with a minute to go. KP whittled the shot clock down before missing a jumper, but Saintilus grabbed the offensive rebound. His putback attempt was off, but he was able to knock the rebound out to Alex Fritz, who was intentionally fouled with 34 seconds to go. Fritz hit both to make it 54-50, and North Attleboro missed on the other end. KP failed to connect on a one-and-one, and North senior Josh Montague (12 points, five rebounds) drove to the basket for two with 4 seconds to go. Tim Nault hit one of two free throws to extend KP’s advantage to three and Sesay was able to block North Attleboro’s three-point attempt from behind just before the buzzer. 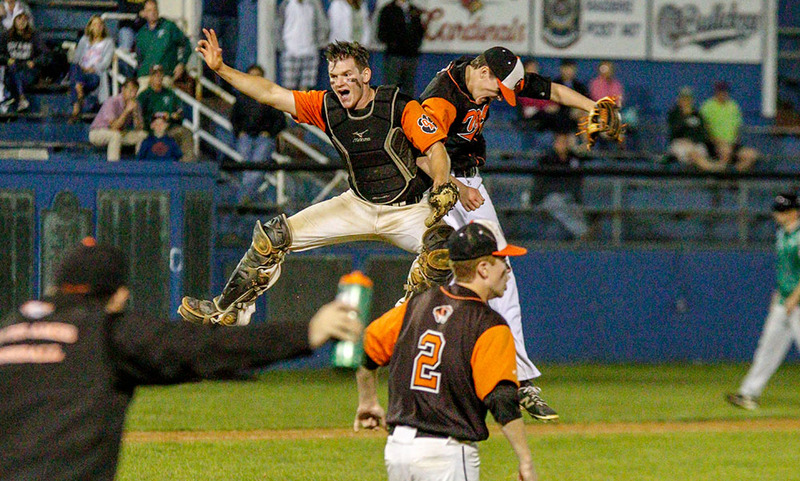 “That was a typical Sunday matinee game where the kids aren’t ready to come out and play right away,” DeStefano. “I think the end, the reason we got those offensive rebounds, is that those kids just didn’t want to lose. They are sick of losing so they’re committed to making the plays they need to. After a relatively slow start from both sides, North Attleboro took a slim 20-18 lead into the halftime break, with the teams combing to shoot under 30% from the field with a combined 15 turnovers. 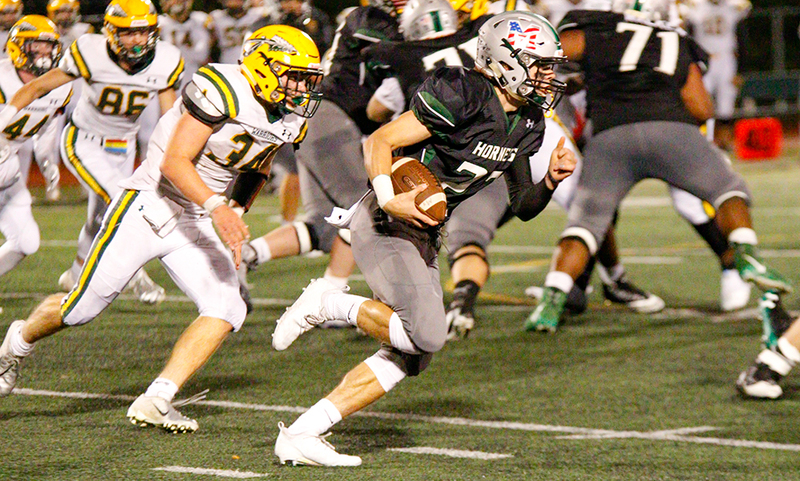 King Philip’s offense got going in the third quarter, nearly equaling its first half production by putting up 15 points. The Warriors warmed up from three-point range in the period as well, hitting 3-of-7 shots from deep after just one in the first 16 minutes. Junior Alex Fritz hit two of those triples, scoring eight of his team-high 15 points in the quarter. His first triple sparked an 11-4 run that saw buckets from Tyler Nault and a three from Ian Khung, helping KP take a 33-28 lead into the final frame. 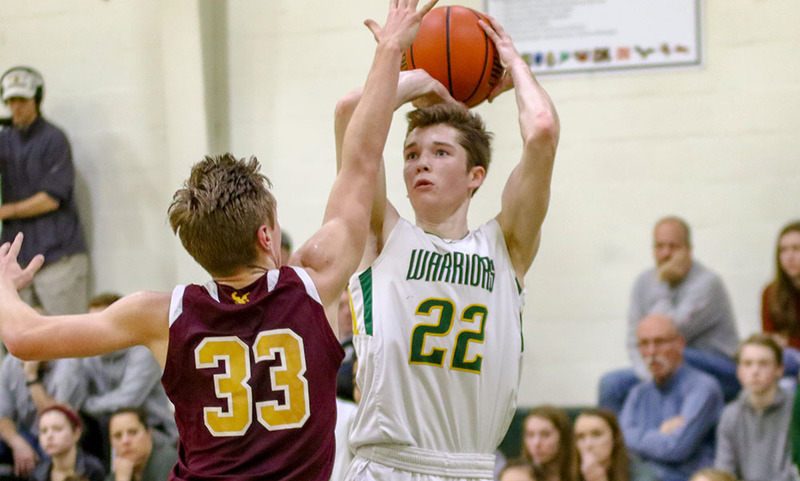 The Warriors extended that lead to seven early on two Saintilus free throws, but North closed it to two (39-37) on a turnaround post move from Matt Seavey (eight points, 11 rebounds). KP again pushed the lead to five with 1:41 to play. North Attleboro turned to a press in the fourth quarter that helped jump start things. While it wasn’t perfect and KP was able to get some easy looks out of it, the energy it provided sparked the Rocketeers’ offense and helped complete the comeback. A KP turnover led to two points from Nate Gonsalves (16 points, six rebounds). And then Ladd came up with a steal with 30 seconds to go to get North the ball back. The first three rimmed out but Seavey made a big play to keep it alive, kicked it out to Gonsalves and he sank a three to knot it 46-46 with 18 seconds left. Neither team was able to convert on their final chance, and the game went into overtime. King Philip boys basketball (4-6 Hockomock, 5-7 overall) is on the road on Tuesday when it takes on Foxboro. North Attleboro (3-7, 5-7) returns home and will host Mansfield.